The list of Nigerian celebrities with kids who aren’t married has continued to grow, but we must also remember that we witnessed some very large celebrity marriages this year. In 2015 alone, we have already witnessed several celebrities who got married, here’s a recap of that list. 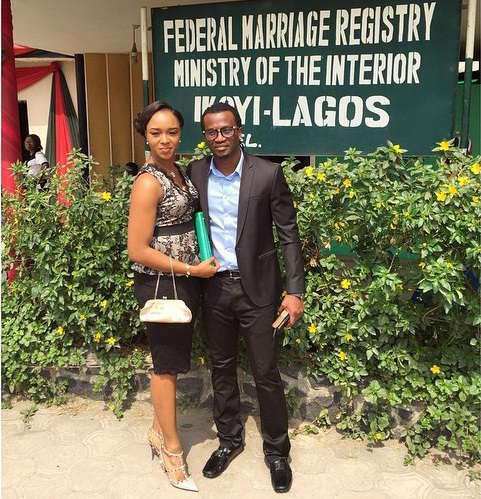 Paul Okoye and his long time girlfriend, Anita Isama finally got married earlier this year at Ikoyi Registry. Although the pair had their traditional wedding in March, 2014. The pair only got married legally earlier this year. The pair tied the knots legally on January 22, 2015. TV Personality Ebuka Obi-Uchendu got married to beautiful daughter of billionaire and CEO Young Shall Grow motors, Cynthia Obianodo on the 3rd of October, 2015. The pair had their traditional wedding some days ago and had several a-list guests in attendance. Popular and controversial actress, Tonto Dikeh surprisingly got married this year as well and not a lot of people thought Tonto would be a Mrs. before the end of 2015. Tonto Dikeh got married to her heartthrob, Oladunni Churchill in a traditional ceremony which held on the 30th of August, 2015. The white wedding ceremony is slated to hold soon. Popular singer, Kas also got married earlier this year to his longtime girlfriend who he met in 2007. They got married in a traditional ceremony which held on the 10th of January, 2015. The wedding was a lowkey one and DJ Zeez was the only celebrity spotted at the ceremony. Kas and Tare already have two boys together, a 5 year old and a 2 year old. Beautiful singer, Omawumi got married to her baby daddy, Tosin Yusuf this year in a low-key ceremony. The beautiful singer who was heavily pregnant at the time of the wedding ceremony has welcomed her second child. Tinsel stars, Gbenga Ajibade and Osas Ighodaro had one of the most fascinating wedding ceremony of 2015 because it had a-list guests at the event. Their traditional wedding ceremony held in Benin City on June 20, 2015. Nollywood stars, Chris Attoh and Damilola Adegbite sealed their relationship with a marriage ceremony. The pair got married in a love studded ceremony on Valentine’s day, 2015. Popular Nollywood actor, IK Ogbonna got married to his Colombian beauty girlfriend, Sonia Mor*les in a lovely wedding ceremony. IK Ogbonna got married to the mother of his son Sonia Mor*les in a low key court ceremony on June 29, in Belgrade, Serbia. Rotimi Alakija popularly known as DJ Xclusive got married to his beautiful girlfriend, Tinuke. The traditional wedding held sometime this month and had in attendance several a-list celebrities. Beautiful media personality, Dolapo Oni got married to her hearthtrob, Gbite Sijuwade in a star studded wedding.